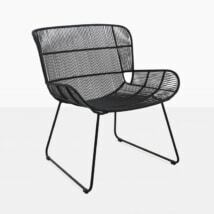 The Luna Rope Outdoor Relaxing Chair is a striking piece with fantastic design elements that make it modern, alluring and sophisticated. 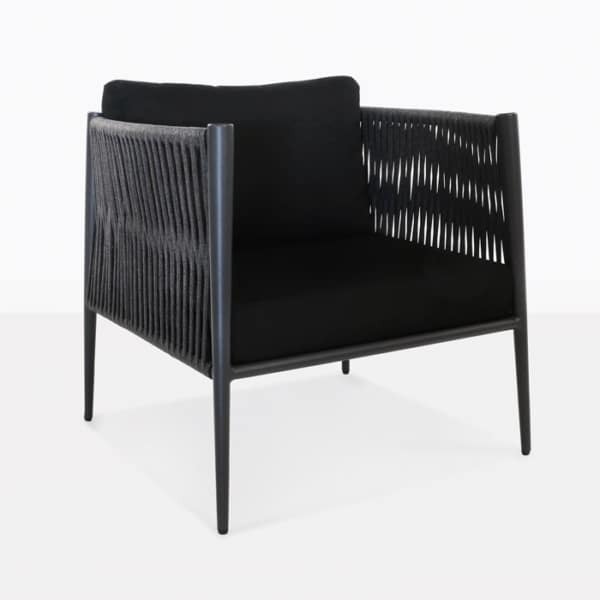 The structure of the frame combined with the textured rope panels is an outstanding look that will add instant style to your outdoor living space. 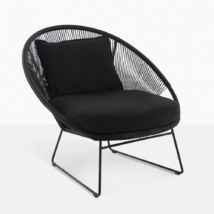 The Luna Rope Outdoor Relaxing Chair is made with premium materials that are meant for outdoor use. 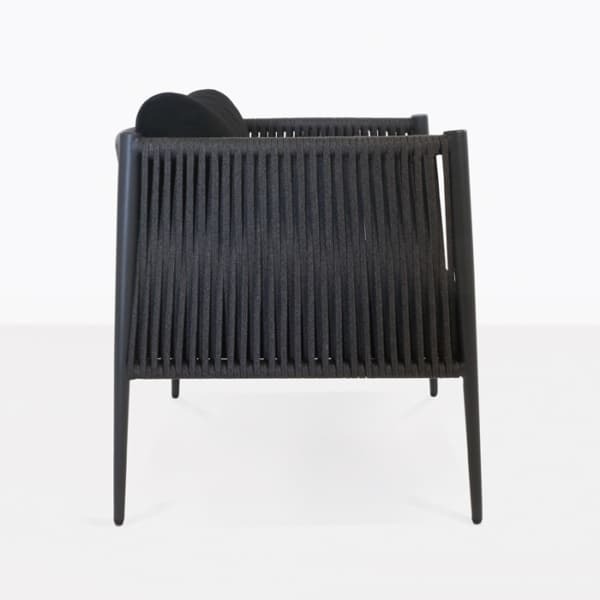 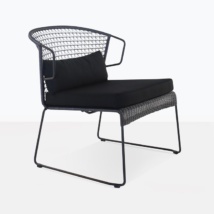 The Luna chair frame is made with powder-coated aluminum in a beautiful charcoal grey color. 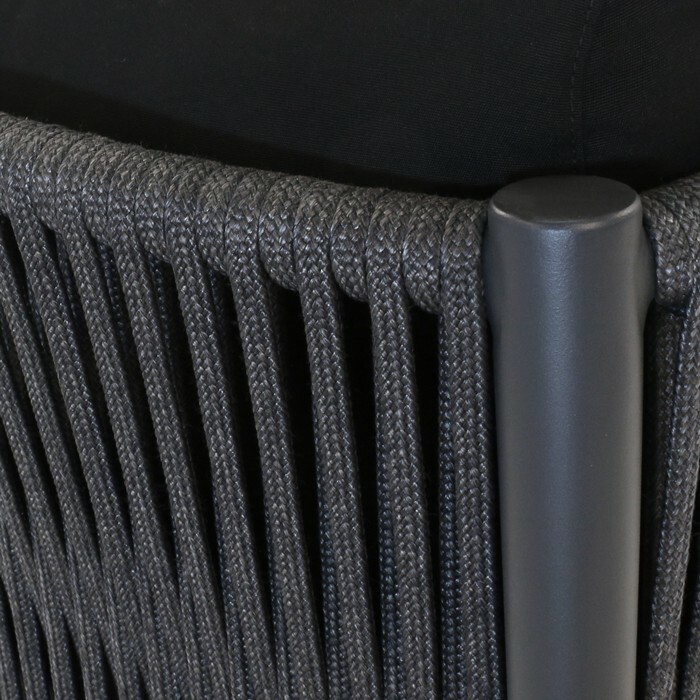 The side panels and back of the seat frame are expertly wrapped with Italian outdoor rope. 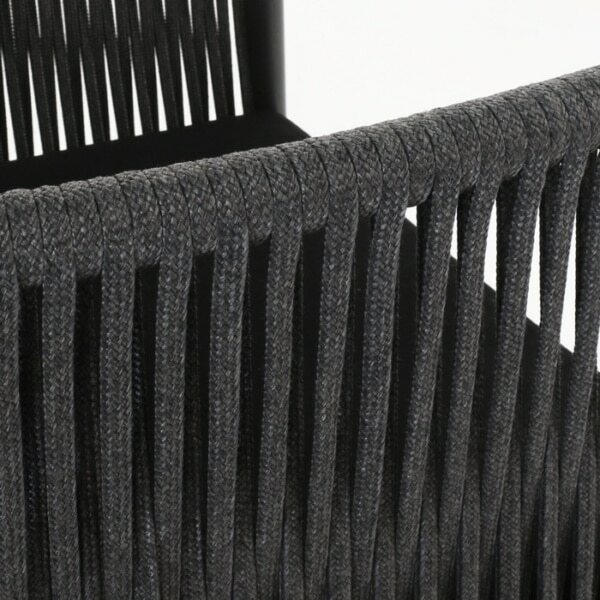 This rope is strong and beautiful and a must see in person. The seat is spacious and topped with thick black Sunbrella® cushions, which are included in the price. 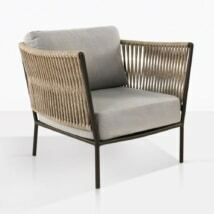 This chair has all the key ingredients to be a fantastic addition to your outdoor space. 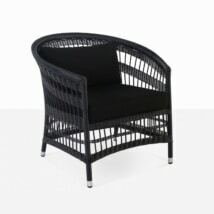 W28" x D27.5" x H31"
If you love this design, be sure to also check out the Luna Rope Outdoor Dining Chair. It has the same brilliant styling and quality build. 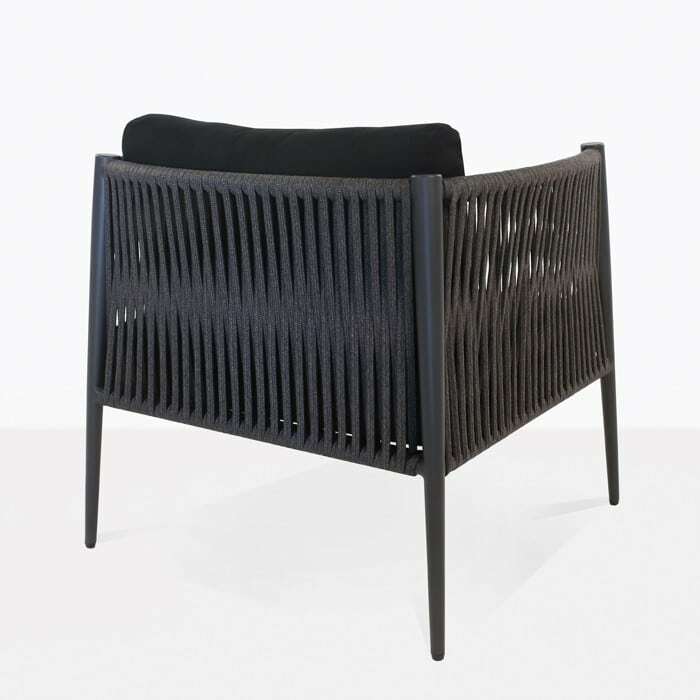 Everything comes fully assembled; call us today for more details.